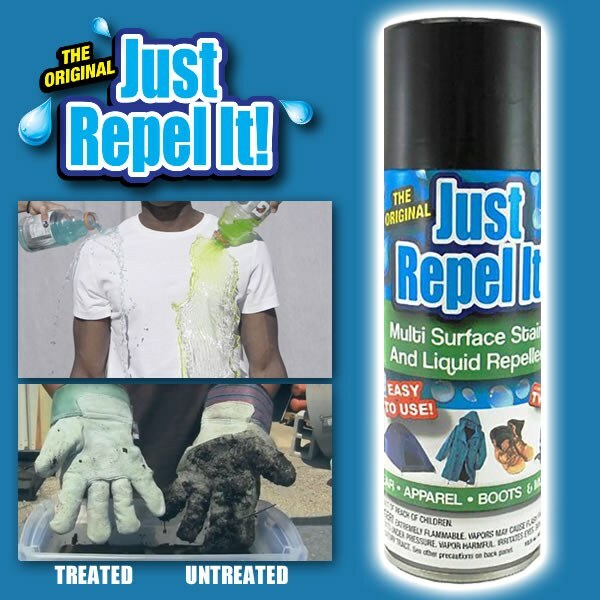 Make anything waterproof with Just Repel It&apos;s hydrophobic nano spray! This might be our coolest product ever! The Original Just Repel It utilizes the revolutionary Lotus effect phenomenon. After just one application it creates a protective hydrophobic nano coating barrier between almost any material surface and any liquid it comes into contact with - which causes liquids bead and roll right off the surface! Use it to coat shoes, clothing, exterior surfaces, and more for a tight, water repelling seal! Sprayed it on the underside of my Jeep fenders, does a pretty good job of keeping the mud off.